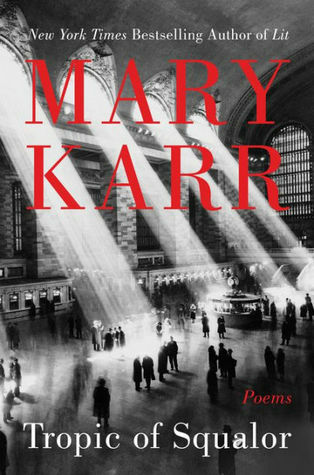 Tropic of Squalor: Poems by Mary Karr has an expected publication date of May 8th, 2018 by Harper Collins Publishers. A new volume of poetry from the New York Times bestselling and esteemed author of The Liar’s Club and Lit. Long before she earned accolades for her genre-defining memoirs, Mary Karr was winning poetry prizes. Now the beloved author returns with a collection of bracing poems as visceral and deeply felt and hilarious as her memoirs. In Tropic of Squalor, Karr dares to address the numinous—that mystery some of us hope towards in secret, or maybe dare to pray to. The “squalor” of meaninglessness that every thoughtful person wrestles with sits at the core of human suffering, and Karr renders it with power—illness, death, love’s agonized disappointments. Her brazen verse calls us out of our psychic swamplands and into that hard-won awareness of the divine hiding in the small moments that make us human. In a single poem, she can generate tears, horror, empathy, laughter, and peace. She never preaches. But whether you’re an adamant atheist, a pilgrim, or skeptically curious, these poems will urge you to find an inner light in the most baffling hours of darkness. 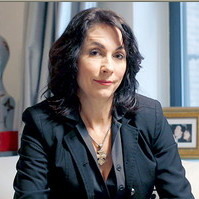 About the author: Mary Karr is an American poet, essayist, and memoirist. She rose to fame in 1995 with the publication of her bestselling memoir The Liars’ Club. She is the Peck Professor of English Literature at Syracuse University. Karr was born January 16, 1955, in Groves, a small town in East Texas located in the Port Arthur region, known for its oil refineries and chemical plants, to J. P. and Charlie Marie (Moore) Karr. In her memoirs, Karr calls the town “Leechfield.” Karr’s father worked in an oil refinery while her mother was an amateur artist and business owner. The Liars’ Club, published in 1995, was a New York Times bestseller for over a year and was named one of the year’s best books. It delves vividly and often humorously into her deeply troubled childhood, most of which was spent in a gritty, industrial section of Southeast Texas in the 1960s. She was encouraged to write her personal history by her friend, author Tobias Wolff, but has said she only took up the project when her marriage fell apart. She followed the book with another memoir, Cherry (2000), about her late adolescence and early womanhood. A third memoir, Lit, which she says details “my journey from blackbelt sinner and lifelong agnostic to unlikely Catholic,” came out in November 2009. Karr thinks of herself first and foremost as a poet. She was a Guggenheim Fellow in poetry in 2005 and has won Pushcart prizes for both her poetry and her essays. Karr has published four volumes of poetry: Abacus (Wesleyan University Press, CT, 1987, in its New Poets series), The Devil’s Tour (New Directions NY, 1993, an original TPB), Viper Rum(New Directions NY, 1998, an original TPB), and her new volume Sinners Welcome(HarperCollins, NY 2006). Her poems have appeared in major literary magazines such as Poetry, The New Yorker, and The Atlantic Monthly. She is a controversial figure in the American poetry “establishment,” thanks to her Pushcart-award winning essay, “Against Decoration,” which was originally published in the quarterly review Parnassus (1991) and later reprinted in Viper Rum. In this essay, Karr took a stand in favor of content over poetic style. She argued emotions need to be directly expressed, and clarity should be a watch-word: characters are too obscure, the presented physical world is often “foggy” (that is imprecise), references are “showy” (both non-germane and overused), metaphors over-shadow expected meaning, and techniques of language (polysyllables, archaic words, intricate syntax, “yards of adjectives”) only “slow a reader”‘s understanding. Karr directly criticized well-known, well-connected, and award-winning poets such as James Merrill, Amy Clampitt, Vijay Seshadri, and Rosanna Warren (daughter of Pulitzer Prize winner Robert Penn Warren). Karr favors controlled elegance to create transcendent poetic meaning out of not-quite-ordinary moments, presenting James Merrill’s Charles on Fire as a successful example. While some ornamentations Karr rails against are due to shifting taste, she believes much is due to the revolt against formalism which substituted sheer ornamentation for the discipline of a meter. Karr notes Randall Jarrell said much the same thing, albeit more decorously, nearly fifty years ago. Her essay is meant to provide the technical detail to Jarrell’s argument. As a result of this essay, Karr earned a reputation for being both courageous and combative, a matured version of the BB-gun toting little hellion limned in The Liars’ Club. Another essay, “Facing Altars: Poetry and Prayer”, was originally published in Poetry (2005). Karr tells of moving from agnostic alcoholic to baptized Catholic of the decidedly “cafeteria” kind, yet one who prays twice daily with loud fervor from her “foxhole”. In this essay, Karr argues that poetry and prayer arise from the same sources within us.